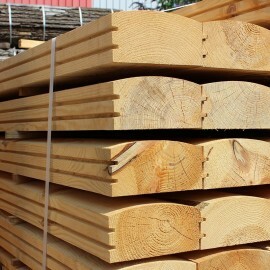 Log Lap Sleepers machined by UK Timber to our own design. Perfect for crisp clean landscaping products & for building many garden structures due to their fully interlocking T&G design. Now available for express delivery! Order before 1pm for the next day service, orders received after that time will be shipped for the following day.